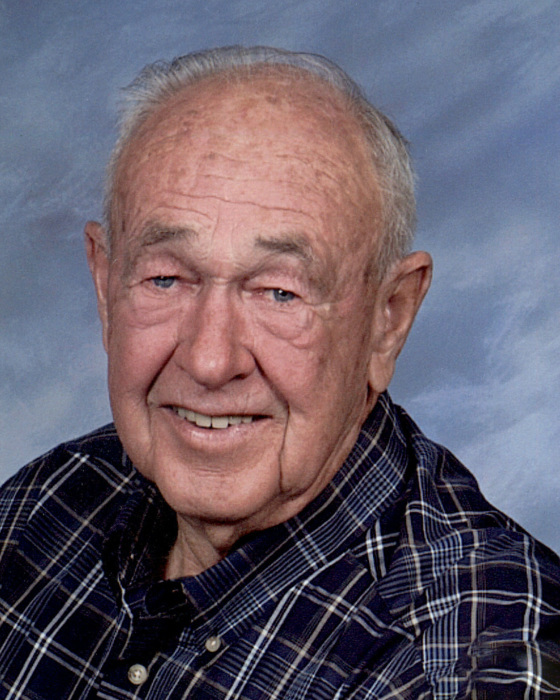 George Ford Hall, age 91, passed away peacefully surrounded by his family Monday, January 21, 2019. He was born on August 4, 1927, to Henry and Amelia Hall on their kitchen table in North Ogden. George graduated from Weber High School. He later graduated from Westminster College where he met his love, Winifred Pittman. They were married on June 2, 1952, in Salt Lake City the day after Winnie graduated from Westminster. George worked at Hinckley Dodge as a car salesman for many years. He and Blaine Jensen left Hinckley’s to start their own business, Blaine and George's Used Cars. He later started his own business, George's Car and Truck Rental, later renamed to All American Car and Truck Rental, located at his longtime friend’s car lot, Roy’s Used Cars at 1764 Washington Blvd. He continued to work at his business until finally retiring at age 89. During the summer you would find George working on the Hall Brothers Fruit Farm with his brother Henry and many family members. George would be found driving truckloads of peaches and apples to Idaho and Montana for delivery to many stores and fruit stands. In his early years George was a member of the Riders of the Wasatch riding club. He often talked about his experience in racing boats down the Green River then up the Colorado River in the 185-mile annual Canyon Country Marathon. George was a Master Mason of Unity Lodge #18 for 67 Years. George enjoyed camping, hunting and fishing with his family and friends. George is known for his sense of humor and love for talking with people. When asked what his hobbies were, he would say “I just love to work”. George is survived by his wife Winifred; children, John, Richard (Sandy), and David; sister Helen; grandchildren, Reed (Krista), Mathew, Michelle (Aaron), and Lisa; great-grandchildren, Morgan and Mason. George was preceded in death by his parents, sisters Bertha and Virginia and brother Henry. The family would like to give special thanks for the outstanding care and love given by the staff and all of the aids at Our House Assisted Living in Ogden and to all the staff at Encompass Hospice for their care and support. Funeral Services will be held at 2:00 pm on Friday, February 1, 2019 at Trinity Presbyterian Church, 140 N Tyler Ave, Ogden. His viewing will be held on Thursday, January 31, from 6:00 – 8:00 at Leavitt’s Mortuary, 836 36th street, Ogden and from 1:00 - 1:45 pm at Trinity Church prior to the funeral service. Interment will be at Leavitt’s Aultorest Memorial Park, Ogden Utah. In lieu of flowers the family requests donations be made to the Alzheimer’s Cure Foundation (www.alzcure.org) or to Smith-Magenis Syndrome research (prisms.org).